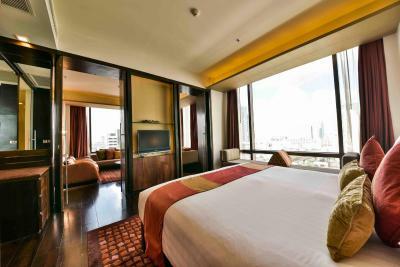 Lock in a great price for VIE Hotel Bangkok, MGallery Hotel Collection – rated 9.1 by recent guests! Absolutely amazing facility; amazing room; amazing staff; amazing wifi; amazing connection to the Skytrain (BTS). 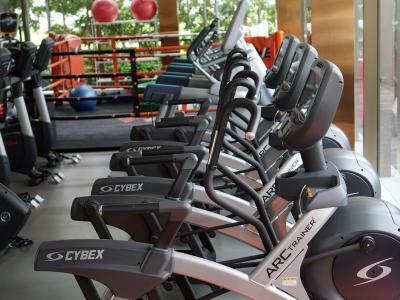 The on-site and free-to-use gym was incredibly well stocked with squat racks, dumbbells to 40KG, various weight machines, aerobics space with free yoga/other classes, more than 20 state of the art cardio machines. 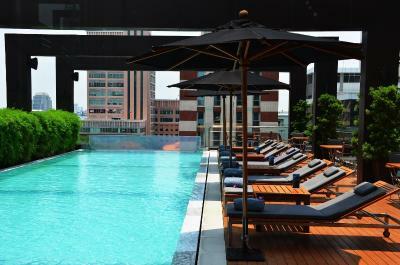 Rooftop pool was super clean with very reasonably priced food/drinks. Two 1/2-off-drink happy hours every day with very decent sized pours (2 hours in lobby followed by 2 hours at pool). Proper 5 star hotel with top quality attention to detail. Loved our stay and will definitely return! The staff was amazing. They were so helpful and very welcoming. The bartenders were very lovely as well as the concierge. Will definitely recommend this hotel to my friends. THANK YOU. The room was amazing with a sweet view of the city skyline. Amazing bathroom and bedroom. It was bigger than my apartment and had two tbs for separate viewings if you have guests. 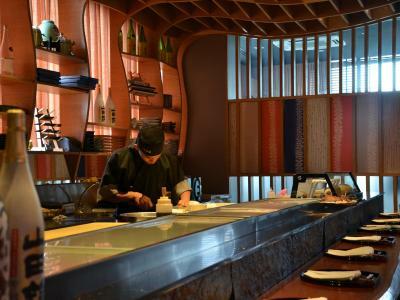 The decor was warm and pleasant and the entire staff was very helpful and always attentive to our needs. They open the doors for you they make sure you have a snack with your beer when you order from the restaurant. While out in the city of Bangkok if you need a translator for any reason you can call the front desk services and they can exchange in conversation with your taxi to help. Second time at this hotel, nice room and bed. Quiet room, good staff and excellent breakfast. 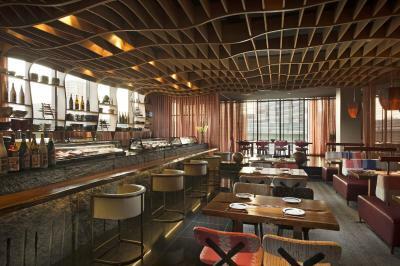 The room is spacious and the service at the counter really efficient. They also let me check in right in the morning before the actual check in. Sparkly clean, beutiful hotel, comfortable beds, great bathroom. They upgraded us to suite for free. The room was clean spacious. Breakfast was my most favorite. Definitely a great place for business trip. Absolutely wonderful hotel with an excellent location. Staff is friendly and prompt with dealing with any matters that arise. I can't recommend this hotel highly enough. Newly renovated lobby and foyer area which is absolutely charming. Scarlett, you are a gem! Very nice facilities, very comfortable. The staff were really helpful, everyone was very kind. The size of the room, the location, the breakfast. 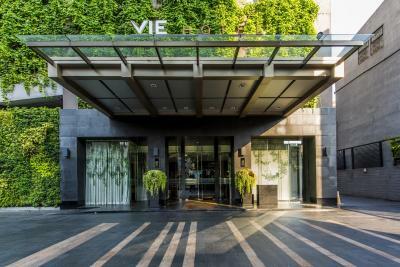 VIE Hotel Bangkok, MGallery Hotel Collection This rating is a reflection of how the property compares to the industry standard when it comes to price, facilities and services available. It's based on a self-evaluation by the property. Use this rating to help choose your stay! 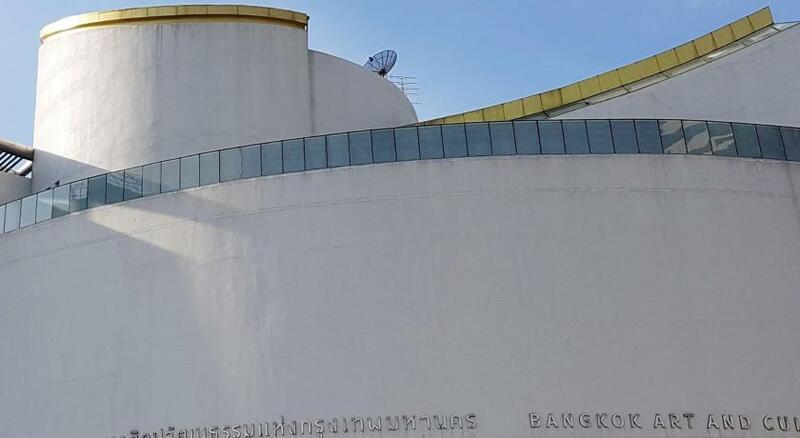 Award-winning VIE Hotel Bangkok - MGallery Collection offers 5-star luxury and convenience with its prime location just 550 feet from Ratchatewi BTS Skytrain Station. It features an outdoor pool, spa and elegant rooms. This specially designed hotel comes complete with works of art, exotic furniture, soft shades and audacious colors. 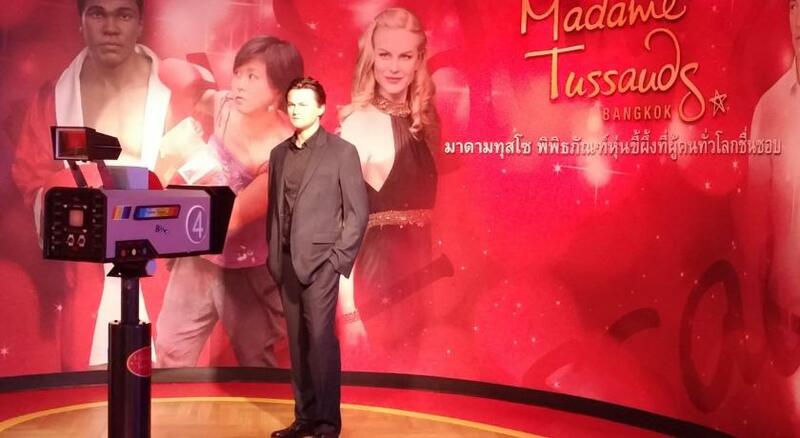 Just 1 train stop from MBK and Siam Paragon, the hotel is within 1.9 mi of Chinatown and Temple of the Golden Mount. 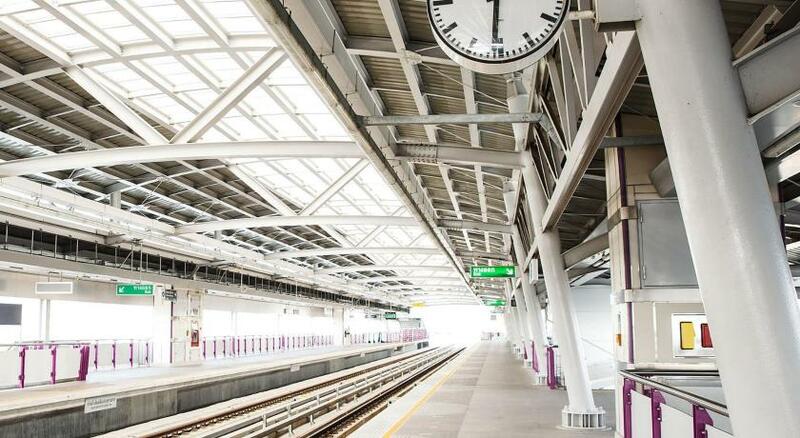 It is a 30-minute drive from Suvarnabhumi International Airport. 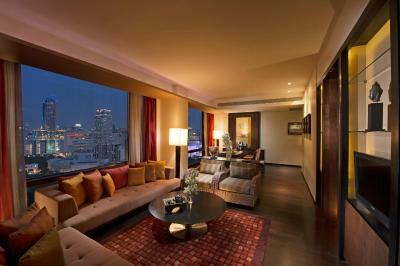 Elegantly decorated in warm colors, spacious rooms floor-to-ceiling windows overlooking the cityscape. Modern comforts like a flat-screen TV, mini-bar and 24-hour room service are provided in all rooms. 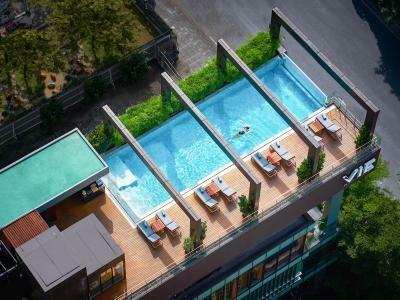 VIE Hotel Bangkok's outdoor pool, located on the rooftop of its Annex Wing, provides a peaceful setting where guests may swim and sun tan. 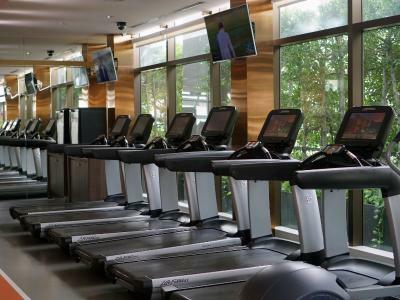 The hotel also provides a well-equipped fitness center and pampering massage at its spa. The stylish La VIE offers a high-end dining experience, featuring a fine selection of creative French cuisine and a premium wine list. 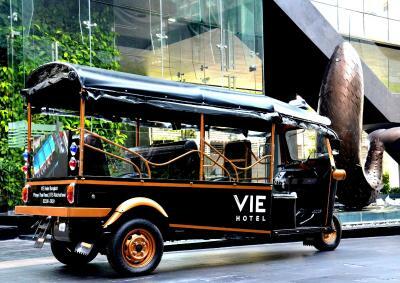 When would you like to stay at VIE Hotel Bangkok, MGallery Hotel Collection? Furnishing with Jim Thompson silk, this luxurious two-bedroom suite features a large living room and a pantry area with a coffee machine, free mini-bar, microwave, and a private butler service. It also comes with 2 flat-screen TVs and an electronic safe. Bathroom comes with Bvlgari amenities. Spacious suite decorated with Jim Thompson silk furnishings features 2 flat-screen TVs, a large working space and a separate living room with sofa. 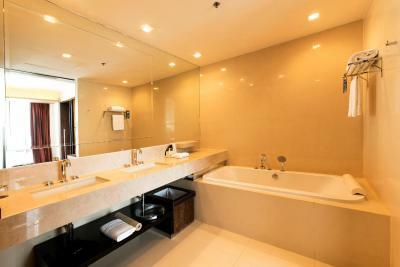 Private bathroom comes with a shower, separate bathtub,free mini-bar and VIE's own amenities. Guests booking from 12 October 2018 to 30 November 2018 and staying from 12 October 2018 until 30 June 2019 with a minimum of 2 nights receive free upgrade to the Executive Suite. This triple room features a electric kettle, cable TV and free mini-bar. Guests booking from 12 October 2018 to 30 November 2018 and staying from 12 October 2018 until 30 June 2019 with a minimum of 2 nights receive complimentary late check-out until 14:00 hr (subject to room availability). This triple room has a tea/coffee maker,free mini-bar, hot tub and flat-screen TV. 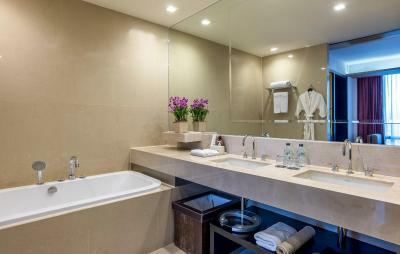 This suite has a hot tub,free mini-bar, air conditioning and tile/marble floor. This suite features a flat-screen TV, air conditioning, free mini-bar and electric kettle. 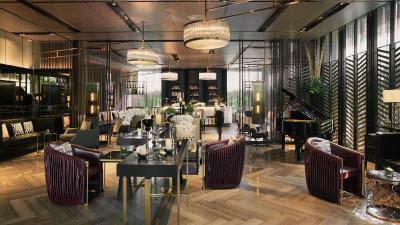 House Rules VIE Hotel Bangkok, MGallery Hotel Collection takes special requests – add in the next step! VIE Hotel Bangkok, MGallery Hotel Collection accepts these cards and reserves the right to temporarily hold an amount prior to arrival. 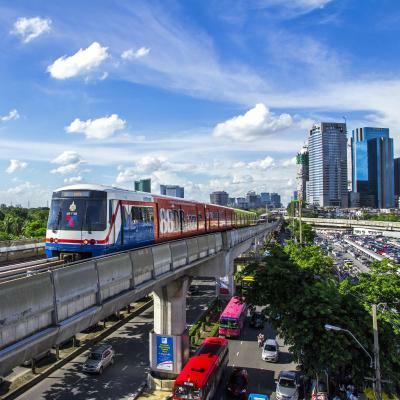 Please note that shuttle service to nearby shopping centers, e.g., Siam Paragon, Siam Center, and MBK are provided free of charge. Reservation is required. Nothing at all. This place was perfect. Location is perfect. The staff was very polite . Everything was perfect strongly recommended. Loved the service, the pool and sauna. The breakfast was great! Very nice, relatively new Hotel. So welcoming and helpfully staff! Spacious rooms and comfy beds. Next to the Ratchathewi station snd near the Siam square. Nice rooftop pool area! The suite is very spacious with nice layout and decoration. Bed is very comfortable and bathroom is clean. Hotel staffs are polite and friendly. Always great to come back again. Great place, great people, great room, great pool and fitness. Breakfast was delicious. very nice and helpful staff, thanks! !